Adopting a rescue cat into your family is a wonderful way to get a grateful, loving companion for your family whilst saving a life at the same time. But, before you go to the nearest rescue shelter to find a cat that you want to bring home, there are several important things that you should consider first. Rescuing a cat might be easier than bringing home a rescue dog, but there are still several important factors that you’ll need to keep in mind to make sure that you are giving your new pet the best of homes. Rescue cats are different from kittens in many ways; most of them are older and have had previous owners or even learned to fend for themselves on the streets, leaving them with a much different set of needs and requirements in order to be comfortable. Here are the main things to consider before you get a rescue cat. Cats can sometimes be difficult to socialise with other animals, and if you have another pet at home, particularly another cat, it’s important to take this into consideration before you pick up your rescue. Depending on their past and personal situation, a rescue cat might be more wary of other cats and dogs, so be sure to speak to the rescue centre beforehand as they will be able to help you choose a cat who’s more likely to get on with your existing pets, due to behaviour that they will have observed whilst the cat is in their care. Next, you’ll need to decide whether you would prefer an outdoor or indoor cat. Bear in mind that many rescue cats have been strays who are used to having their own freedom and fending for themselves; if you’re hoping for an indoor cat or your home isn’t in a safe enough area for you to feel comfortable letting your cat out on a regular basis, it’s best to avoid a cat with this type of history. On the other hand, indoor cats must be provided with a home that’s large enough for them to roam and plenty of toys and perches to keep them occupied and ensure that they feel safe. Regardless of whether you are going to keep your cat indoors or allow them outside, be sure to have them microchipped – a new cat is more likely to wander at the beginning as they will be unfamiliar with their new home. Before choosing your rescue cat, it’s a good idea to think about the type of pet that you are looking for in terms of age and personality. 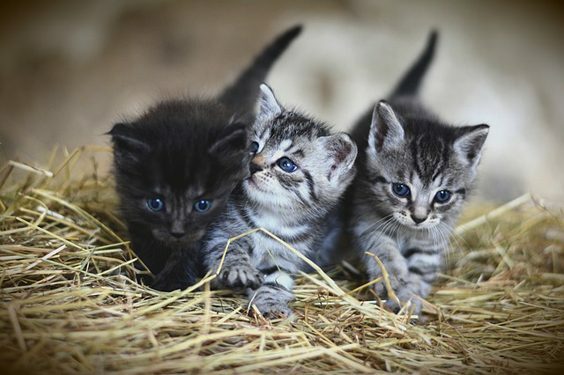 Bear in mind that kittens tend to have a lot of energy and need a lot of attention in order to keep them occupied and happy, in addition to some basic housetraining. This is especially true if you are about to adopt a kitten whose mother has never used a litter box, as she is usually the one to teach her babies these skills. On the other hand, if you feel that you do not have the time to devote to playing with and training a kitten, consider an older cat who is already house-trained. But, bear in mind that senior cats often come with their own set of health problems and could cost you more in the long run. Think about cat breeds, too – different breeds have varying personalities. Are you happy with an independent pet or are you looking for a cuddly lap cat? Do some research beforehand and speak to the shelter who can help you find a cat that matches your personality and needs. Once you’ve decided on the best type of cat for your lifestyle and needs, it’s time to think about preparing your home for your new pet. Before you bring your new furry friend home, it’s a good idea to prepare a safe room for her to live in for the first few days whilst she gets used to her new surroundings. 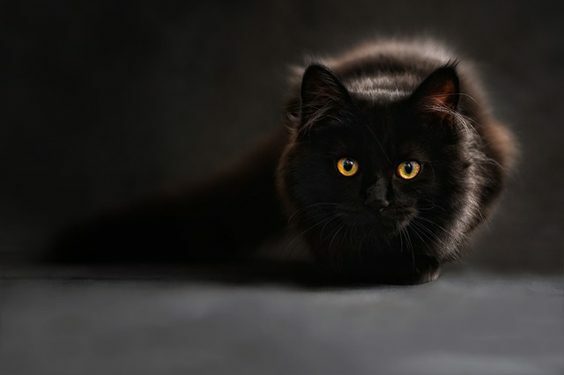 Cats are very territorial creatures and therefore it’s not unusual for them to feel somewhat nervous and uneasy when they come into a new home. Make a room in your home safe for a cat and leave all the essentials such as food and water, a litter box, comfortable bed and plenty of perches in there. Visit the room to play with and fuss your cat, but don’t force your attention onto them – most cats will let you know when they finally feel safe and comfortable around you, so let her go at her own pace. One thing that every pet owner wants is for their pet to be both healthy and safe. Because of this, it’s a good idea to get your new cat checked out by a veterinarian as soon as possible. In most cases, this can be arranged for you by the shelter. If not, you will need to take your new cat to the vets as early as you can for a general health check and routine procedures such as booster vaccinations and flea and worm treatments. Bear in mind that your new rescue cat may have no history of visits to the vet, so it may be necessary for you to start their vaccinations again. Speak to your vet if you have any concerns. Your cat might have nine lives, but she certainly isn’t exempt from illness or injury, so make sure that you have her covered by a pet insurance policy as soon as possible. This is best done after your first visit to the vets, since most insurers will want to be provided with details of any pre-existing conditions before they can provide cover. If your cat does have any pre-existing conditions, bear in mind that this can make it more difficult to find cover and you should expect to pay a little more for insurance. Everypaw, found at https://www.everypaw.com/, can provide pet insurance for cats with pre-existing conditions. You would need to declare them first, and then they’ll review your cat’s medical records and determine what would be covered and what could potentially be excluded. Bringing in a rescue cat to your home can be a daunting experience for anybody, even if you currently have or have had cats in the past. So, don’t hesitate to ask as many questions as you need to make the whole experience a better one for both yourself and your new pet. The shelter where you rescued the cat will likely be able to help you with ongoing support and advice after you have taken your new cat home; in fact, many shelters insist on regular follow-up visits for the first few months to a year so that they can keep an eye on the pet’s progress and make sure that you are fully equipped to give them the care and attention that they need. Don’t forget that your vet is also always on hand to answer any questions that you might have in relation to your cat’s health and wellbeing. Bringing home a rescue cat can be a very rewarding experience, but make sure that you’re fully prepared.